Nature's Plus Adult's Ear, Nose & Throat Lozenges promote health microbial ecology of the ear, nose and throat with the breakthrough probiotic K12! 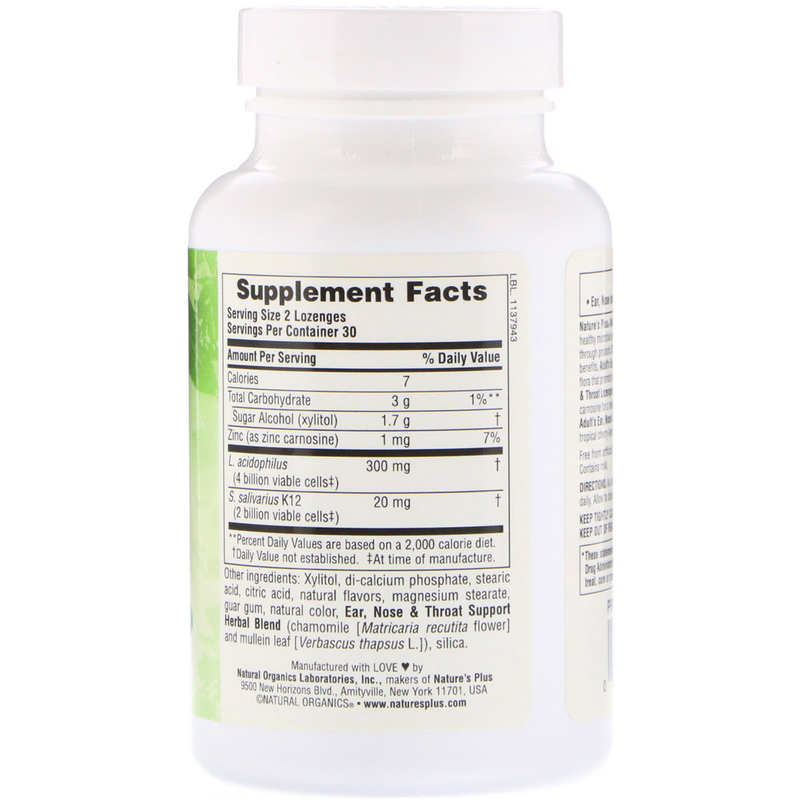 In addition to powerful immune-supporting benefits, Adult's Ear, Nose & Throat Lozenges provide the friendly flora that promote healthy, clean and fresh breath. Adult's Ear, Nose & Throat Lozenges also supply Lactobacillus acidophilus and zinc carnosine for a healthy GI tract and strong mucosal membrane. 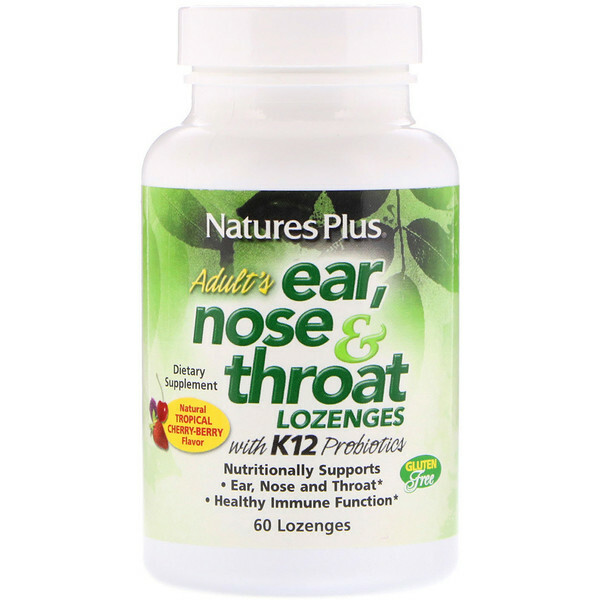 Adult's Ear, Nose & Throat Lozenges feature a delicious, natural, tropical cherry-berry flavor!